Caitlin Spillane is a young woman with a dream. She lives with her family in Ireland in the 1940's. Her sister, Maureen, also has a plan for her future. She wants to become a nun. 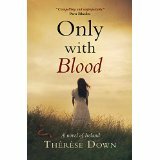 In Only with Blood by Therese Down, if a young woman dreams the right dream, things will go well for her. For Maureen who chooses to become a nun, there is joy all around in the family. Caitlin's dream is very different. She wants to go to the university, Trinity university in Dublin. She loves learning and looks forward to discovering new ideas. Her dream seems like "codology" stuff and nonsense. There is nothing like an easily written and colorfully illustrated book for children about the Bible. 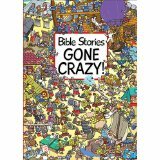 "Bible Stories GONE CRAZY! by Josh Edwards is illustrated by Emiliano Migliardo. There are 8 Bible stories in the book. The child is asked to find the teddies in the paintings and to explore the pictures to find mistakes. It is fun to look for the mistakes in the illustrations. For example, in the Bible story about Daniel in the lions den there is a lion carrying a bundle of balloons. There is also a chalked game of Hop Scotch in the lair. One angel carries dentures in her hand. I could imagine children laughing at these paintings. For a synopsis, you can read about two to three sentences at the top of the page. 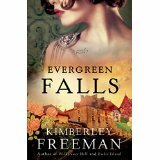 Like time, we fall forward and then backward in Evergreen Falls by Kimberley Freeman. The time periods are 2014 and 1926. The place is the Blue Mountains of Australia. Most of the action takes place at the Evergreen Falls spa. Lauren is the Historian. She finds a pile of love letters written in 1926 by a Samuel Honeychurch-Black. To find out about the circumstances and the people involved is why the reader is taken back to the Twentieth century. The tale is magnificent. It is about family, love, disaster, wealth, poverty and all of what embodies life. I became very caught up in the workings of the class system during those early years. Rich people treated the poor and working class differently than they would treat someone from the upper class. It is Samuel Honeychurch-Black who falls in love with a young woman who is working at the spa. Her mother works at home as a laundress and seamstress. Violet and her mother have very little money. Brother Thomas sat impassively in his stall in the choir: he felt irritated nonetheless. The air was astir from Father Chad's bustling as the prior made his way with exaggerated purpose to the abbatial seat. The energy of his going generated a crack and flap of robes that grated on Brother Thomas's nerves. "Cold gray clouds moved in and started to spit. Of course she didn't have abrolly. Planning ahead was not her forte." After the Civil War in the states, life was still very difficult. For two women, Madge and Sadie, this time of struggle became a way for them to give hope and healing to other suffering people. 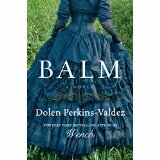 In Balm by Dolen-Perkins Valdez, there is also Horse or Hemp as he is called by those who know him. His master of the Harrison family called him Horse. All of these people have a mission to fulfill in their lives. There is also Annie, the missing slave woman who belonged to Hemp and her daughter, Herod. There are other characters to meet along the way like Sadie's father, etc. 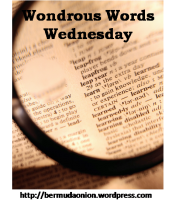 No matter whom we meet throughout the novel there is the sweet fragrance of the Balm of Gilead. 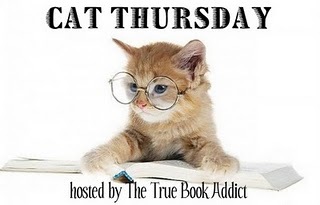 I sniffed it on each page of the novel.